What are examples of behaviors that the federal government will interpret as being information blocking? How is “should have known” defined? How will patient access be measured? How does the law interact with HIPAA and medical malpractice laws? What reasonable business practices and contract terms are exempt from information blocking requirements? How will the $1 million per violation vendor penalty be defined? What mitigation opportunities will be offered before incidents are turned over to HHS OIG for investigation and penalties? From Geaux Texans: “Re: your Houston donations. Why not the Red Cross?” I’m not a fan of that organization since they don’t earmark donations for specific causes, multiple reports exist over years indicating that they are dismissive of local volunteers, and my unscientific observation is that they seem to take advantage of global natural disasters to promote themselves and their fundraising. They also get a score of 83 on Charity Navigator, which isn’t so great. I know that their fundraising machine will allow them to do mass-scale work, leaving me to support more local efforts without feeling guilty. I donated to the Salvation Army of Houston because Salvation Army is my favorite charity overall and I trust their mission and stewardship even though as a religious-based organization they aren’t rated by Charity Navigator. Houston Food Bank earns a Charity Navigator score of 100 and the Houston SPCA gets a 97, both of those being local organizations that I’m pretty sure will quickly do the right thing without much bureaucratic overhead. Please donate, but be careful – scammers abound during high-profile disasters when donors are anxious to help quickly. Donate directly from the verified home pages of charities you’ve first checked on Charity Navigator. This isn’t the time to click shady Facebook “donate here” links or to send money to GoFundMe projects. The inaccessibility and loss of paper medical records during Hurricane Katrina kicked off the uptake of EHRs (and led New Orleans health commissioner Karen DeSalvo, MD, MPH, MSc to the National Coordinator role). I’m wondering if Hurricane Harvey will provide the impetus for adoption of other technologies, perhaps telemedicine or even drone delivery of drugs and medical supplies. Katy’s Lemonade Stand is a regionally recognized, trusted partner for implementing a diverse portfolio of innovative products, strategies, and frameworks that enhance synergistic hydrationary outcomes and provide an exemplary customer experience that inspires human achievement. I’m also annoyed by companies that add a customer service chat box to their websites, which is intrusive but not super annoying, but then double down by including a loud “look down here at our cool automated chat agent” sound effect that makes me jump a foot off my chair. Websites should not automatically play any sound or auto-start a video that includes audio. Sites are killing off traffic in jamming poorly performing video, overlay ads, pop-ups, and slow-loading third-party content on their sites (CNN and other news sites along with the usual clickbait sites – was that redundant? — are prime examples). This week on HIStalk Practice: Texas officials fast-track licensing permits for out-of-state physicians looking to help after Harvey. Indica MD launches medical marijuana telemedicine services. Florida law enforcement implements new heroin overdose tracking software. Harvey relief efforts tap into Medicare data to identify at-risk patients. Marathon Health adds behavioral health services. PeakMed Direct Primary Care raises $5.5M. Oklahoma officials call for more funding, better MD use of statewide PDMP. AI-generated facial emojis could be coming to a telemedicine visit near you. West’s Allison Hart discusses the importance of technology in ambulatory care for chronic disease management. The MAVEN Project looks to connect community health centers with telemedicine services. Drug pricing analytics vendor Truveris raises $35 million in a Series D funding round. Madison-based ImageMoverMD, which offers a secure image-sharing app for doctors, raises $1.2 million. Penn Medicine (PA) chooses the LiveProcess emergency management system for universal employee notification and response during disasters, cyberattacks, and everyday coordination, bringing it into compliance with CMS’s emergency preparedness rule. 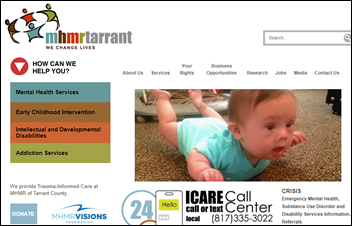 My Health My Resources of Tarrant County (TX) selects Netsmart’s EHR. Experian Health announces its Pandora data quality platform that can ingest, index, and cleanse data from one or many data sources. Non-profits CHIME and DirectTrust will jointly promote the universal deployment of the Direct network for secure information exchange. Canada’s PrescribeIT national e-prescribing service will begin its rollout in Ontario “in the coming weeks” in eventually covering six provinces, 2,600 drug stores, and an unstated number of EHR vendors using technology from Telus Health. Committing to continuing paying cost-sharing reduction payments. Creating a temporary stability fund for states to create reinsurance programs. Exempting insurers from federal health insurance taxes from exchange plans sold in counties designated as underserved. Keeping the individual mandate until a credible replacement can be devised. Continuing the funding of outreach and enrollment efforts that encourage younger, healthier people to sign up. Shortening grace periods and verify special enrollment to make sure people aren’t waiting to sign up for insurance until they are about to incur expenses. Addressing unsustainable increases in the cost of healthcare services by paying providers based on quality rather than quantity of care, including a committing to support value-based healthcare purchasing. Meanwhile, the White House on Thursday violated the fifth point above in announcing that President Trump will cut ACA signup advertising spending by 90 percent and in-person assistance funding by 39 percent, saying that Americans already know about the ACA. Critics say insurance risk and thus pricing will increase in a “let it fail” strategy” with fewer healthier, younger people being reminded to sign up to balance the risk pool. Former CMS Acting Administrator Andy Slavitt said in a tweet that the change won’t save taxpayers money because the costs are paid by insurance company user fees. 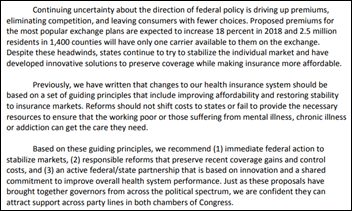 An HHS press secretary (she was previously Congressman Tom Price’s press secretary and before that executive assistant at The Beer Institute) said ACA is a “bad deal” and isn’t working because premiums have doubled and half of US counties have only one coverage option. 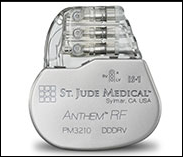 FDA issues a voluntary recall of 465,000 St. Jude Medical pacemakers, recommending that patients return to their doctor or hospital to have their device’s firmware updated to address cybersecurity vulnerabilities. 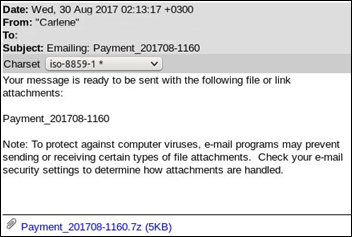 Security firm Barracuda says it has logged 20 million ransomware attack attempts in the past 24 hours that uses a spoofed “from” address and the attachment’s name in the subject line, attempting to lure the recipient into clicking the attachment, which then begins encrypting the device. 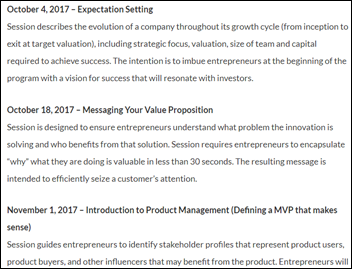 Inova Personalized Health Accelerator offers a free educational program for first-time health technology entrepreneurs. The topics are interesting but the program is limited to folks who can attend seven, 90-minute on-site sessions in Fairfax, VA.
Health system consolidation continues as UNC Health Care and Carolinas HealthCare announce plans to form a jointly operated system that will have 52 hospitals, nearly 100,000 employees, and $13.4 billion in annual revenue. 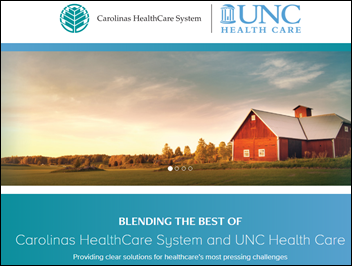 The health systems insist that the proposed transaction is a partnership rather than a merger since they will not combine their assets to create a new entity. An article in the Joint Commission’s journal describes the newly revised, ONC-published SAFER (Safety Assurance Factors for EHR Resilience) Guides and offers implementation advice for provider organizations, written by Dean Sittig, PhD and Hardeep Singh, MD, MPH. A Cleveland Clinic neurologist says the movie “Moneyball” showed that baseball uses more decision-making analytics than his own field, but that a wealth of EHR data and availability of disease-modifying therapies for multiple sclerosis will allow better treatment choices than the previous tools of physical examination and patient self-assessment. He notes the use of an iPad-powered performance test, new MRI and blood tests, and EHR-enabled doctor-patient collaboration. 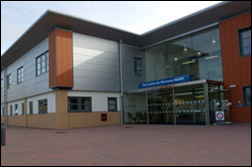 In England, Royal Devon and Exeter NHS Foundation Trust sues ATOS for $10 million for selling it an EHR scanning and document management system that is slow and buggy, problems the vendor attributes to the trust’s network and hardware. University of Michigan researchers develop Verdict, a database tool that learns from each user-submitted query to deliver answers 200 times faster with 99 percent accuracy. 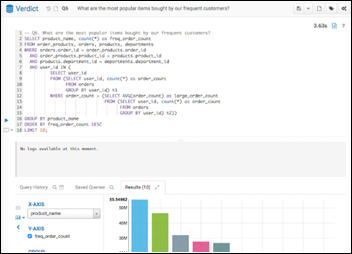 The software stores each query as a query synopsis and breaks it up into snippets that are used to create a mathematical model of questions and answers, allowing it to then target newly needed data efficiently or even to deliver results directly from its own stored information. Medical research and business decision-making are likely use cases. 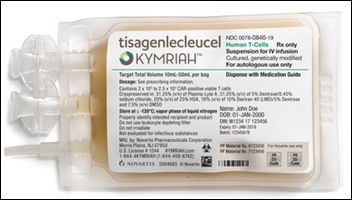 FDA approves the first gene-altering drug for treating leukemia, with manufacturer Novartis declaring Kymriah a bargain at $475,000, especially since it will charge only if the drug works. The company claims it cost $1 billion to bring Kymriah to market. The Wall Street Journal reports that 27 Gulf Coast hospitals have closed or evacuated patients since Hurricane Harvey made landfall and another 25 have reported storm-related problems that may prevent them from seeing new patients. Those that are open are expecting to be overwhelmed as roadways clear. Some employers in the Louisville, KY area have stopped performing pre-employment drug tests because the high number of failures leaves too few candidates to fill their open positions. Other companies report that half of job candidates drop out of the hiring process once they realize they’ll be tested for drug use. 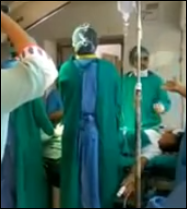 In India, an OB-GYN and anesthesiologist are suspended after an employee-recorded video goes viral that shows them engaging in a heated, insult-filled argument while standing over their C-section patient. Logicworks opens a new office in Denver. Navicure will exhibit at Greenway Health Engage17 September 7-10 in Orlando. IDC names Nuance as the market share leader among global device and print management vendors. 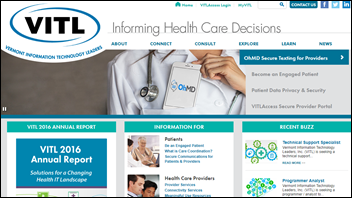 Healthwise adds enhanced visual design to its Patient Instructions. 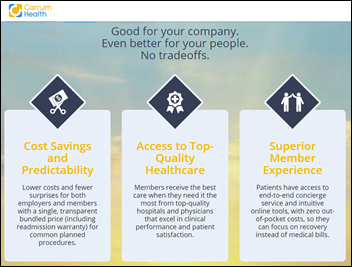 Experian Health will present at the HFMA/AAHAM Western PA conference September 7 in Farmington. Vocera announces that 15,000 care team members of Franciscan Alliance are using its secure text messaging and hands-free communication system. The SSI Group and ZirMed will exhibit at the CASA 2017 Annual Conference September 6-8 in Indian Wells, CA. Nuance Communications wins the 2017 Star Performer and Implementation Awards at Speech Technology Magazine’s annual awards event. McLaren Flint (MI) avoids a $1 million capital expense for new IV pumps by tracking its pump inventory using Versus Advantages Asset Management. Visage Imaging will exhibit at SIIM/NYMIIS 2017 September 7 in New York City. Huron partners with the Red Cross to support relief efforts for victims of Hurricane Harvey. Regarding your comment ” I donated to the Salvation Army of Houston because Salvation Army is my favorite charity overall and I trust their mission and stewardship even though as a religious-based organization they aren’t rated by Charity Navigator “, I actually did the opposite with The Salvation Army. Why? One year I made a small donation to them around the holidays and noticed that within the following year they seemed to spend my entire donation just on the ensuing snail mail asking for more money. I even sent them a note saying ‘please don’t waste anymore of my donation on mail and I promise I’ll send more’ but they ignored that so I decided to send my $$$$ elsewhere. It really IS hard to know who the good charities are. I agree that it would be nice if Salvation Army cut back on the never-ending mailings. The average charity has fundraising expenses of around 11 percent. 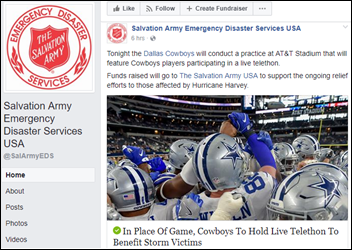 Salvation Army is right in that area, while the American Red Cross is at a rather appalling 29 percent and Houston Food Bank is at a stellar 2 percent. 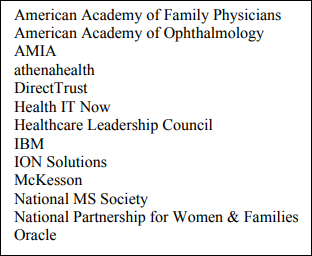 I’d rather donate to any of those instead of any non-profit hospital since I’ve seen that waste, inefficiency, and unchecked ambition firsthand and charities are a black box whose inner workings are unknown to me but probably equally frustrating to insiders. Ha! I surfed over to see the Redox page after reading your CEO interview the other day, and they had a chat bot. I didn’t respond to it so I can’t say whether the name and picture provided were connecting me with a real person. That’s the one that triggered my tirade. Plus it appears to queue up the chat offers, apparently by cookie, since I now have six of them now showing after my repeat visits. That sound makes great speakers or headphones a disadvantage.